Successfully saved Espresso Chocolate Chip Blondies with Brown Sugar Frosting to your Calendar. You can also save the ingredients to your Grocery List. 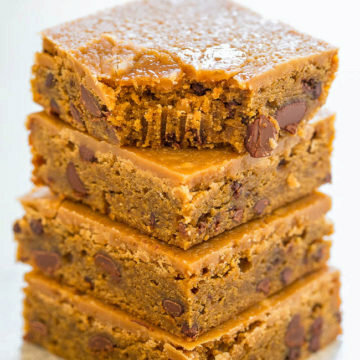 Espresso Chocolate Chip Blondies with Brown Sugar Frosting – EASY, chewy, super SOFT blondies infused with espresso and chocolate!! ENJOY your espresso in dessert form from now on! The brown sugar frosting is simply AMAZING! !